Zquiet is the recommended and efficient solution for treating sleep apnea. They offer a risk-free 30-day home trial for $18.92, and you pay only after you're satisfied. GMSS is also a great choice for treating your mild to moderate Sleep Apnea. Your sleep will not only be better, but also safer thanks to it's breakthrough technology. SleepTight is an affordable and effective Mouthpiece, FDA approved for sleep apnea treatment. Has customization to your size and offers a satisfaction guaranteed 30 day trial. 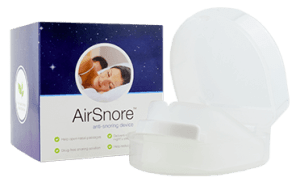 Airsnore is the most cost-effective sleep apnea mouthpiece, and can be purchased with complementing drops that help ease your breathing through the night. * Note: if you suffer from a heavily severe Sleep Apnea condition, we recommend consulting your physician regarding treatment. The Best Mouthpiece for mild to moderate Sleep Apnea. $18.92 for a 30-day home trial. The most easy-to-use and effective Mouthpiece (Mouth Guard) - affordable to anyone. It's most popular for treating Mild to moderate Obstructive Sleep Apnea, but also loved by "regular snorers" and their partners looking for a simple yet efficient solution. ® is the most populat Mouthpiece. ® device, after having examined thousands of snorers and people who suffer from Sleep Apnea, realized that most people only require a minor adjustment to solve their snoring issues. They developed what we call the “Perfect” product, since it is likely to fit pretty much everyone. There are very few people who would eventually require any dental/surgical intervention, which makes this product adjustable and effective for the vast majority of snorers. This simple mouthpiece (in fact, two are provided - one with stronger adjustment), keeps your throat’s airway wide open, which will make your snoring stop immediately. ® is what you're looking for. Premium Mouthpiece - effective for OSA, and comfortable! GMSS's unique technology allows it to be super effective, and still remain smaller than the rest of mouthpieces and less invasive. It offers a 30-day satisfaction guarantee. 15% Extra Discount coupon for checkout: "SNORINGADVISOR"
® is FDA cleared for solving mild to moderate conditions of sleep apnea. It’s the tiniest of all mouthpiece devices, designed first and foremost to be unnoticeable when wearing during your sleep. The product was co-developed by doctors, and it’s famous for delivering a fast turnaround. Many sleep experts and clinics recommend Good Morning’s solution for Sleep Apnea across the US, and our team of experts were simply blown away by its high quality and quick results, so hopefully that should also keep you sleeping well at night. 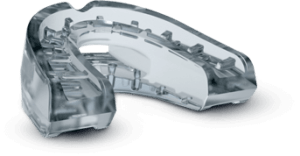 Unlike most mouth guards that work by targeting the jaw placement, GMSS aims to keep your tongue from reaching down to the back of your throat, helping to keep an open airway, which should help diminish your snoring. For anyone with mild to moderate sleep apnea, this is more than enough. 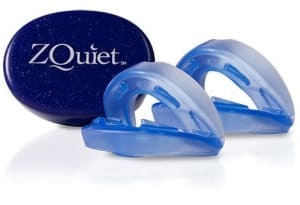 If you’re looking for a low profile anti-snoring mouthpiece which is non-intrusive, then this should definitely be your pick. Developed by Dr. Mike Williams - Dentist & mouthguard researcher, this mouthpiece is scientifically proven to alleviate sleep apnea such as snoring. is great for people with mild to moderate sleep apnea - cleared by the FDA - and in general work really well to eliminate any snoring issues. It is super simple to use and has proven to solve snoring issues some other devices weren’t able to, even if they looked quite similar. Their technology was built by academic researchers and doctors which differs it from some other solutions in the market. It takes only 5 minutes to adjust to your own measures, and breathing through it is a true breezer. is truly one of the market leaders, ensuring you eliminate your snoring immediately and enjoy sleepful nights for you and your partner. 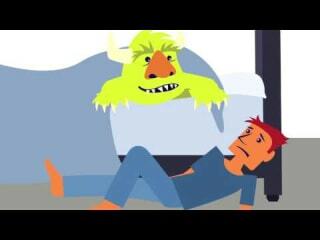 Not Sure Which Sleep Apnea Solution is Best For You?